Amino AcidsFA Nutrition Xtreme Anticatabolix - 15 tabl. 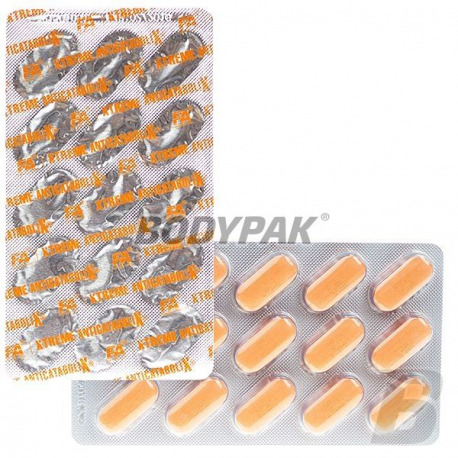 FA Nutrition Xtreme Anticatabolix - 15 tabl. Advanced anticatabolic blend of branched chain amino acids (BCAA), in synergistic combination with L-glutamine at optimal doses for your needs. 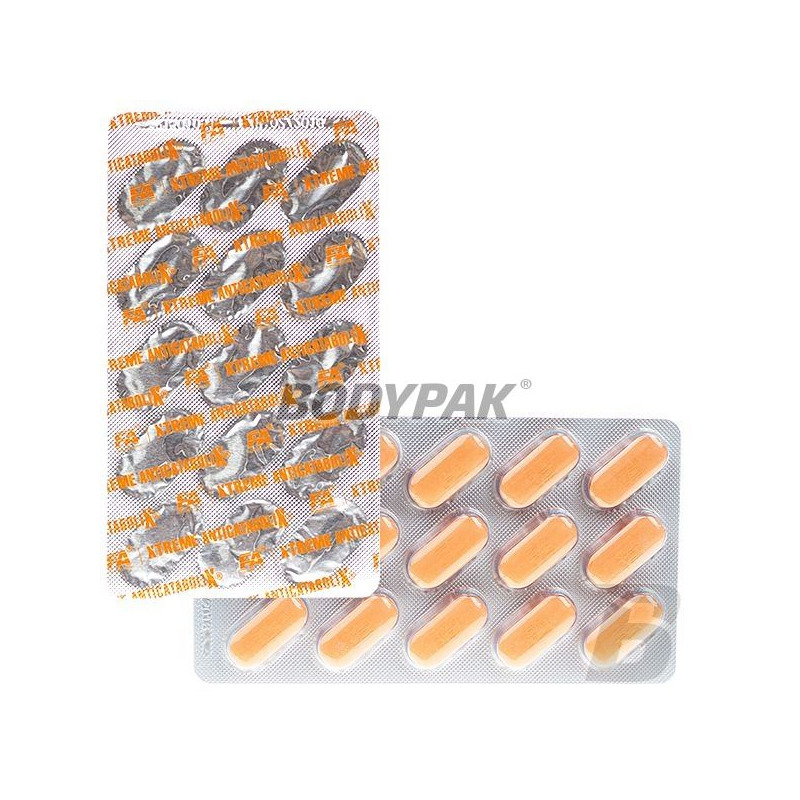 FA XTREME ANTICATABOLIX® entered hit the market, and since then one of the leading products of this type. Reach for a proven, high-quality product. The secret elite athlete's ability to maintain a positive nitrogen balance during intense workouts and recover quicker than mere mortals lies in the proper use of branched chain amino acids (BCAA). They have the capability to independently stimulate protein synthesis within the muscles and create a highly potent anabolic environment to speed your recovery. During an intense workout with muscle Glutamine is released not only from the inventory of free form amino acids, but also via deamination of branched chain amino acids in the muscles themselves. This release of Glutamine is recognized by the body as a signal to stop protein synthesis. Delivery at the right moments glutamine and branched chain amino acids leads to alter this signal thus allowing protein synthesis at the expected level. FA Xtreme ANTICATABOLIX® provides a synergistic and complete composition of high quality branched chain amino acids L-glutamine and BCAA in high doses. The mixture of amino acids that are the basis for FA XTREME ANTICATABOLIX® has a strong anti-catabolic effect by providing a positive nitrogen balance in muscles. Through the use of optimal doses of the individual amino acids in each serving of the product FA XTREME ANTICATABOLIX® effectively accelerates post-workout muscle recovery and strongly stimulates all anabolic processes in muscle tissue. The efficacy of the FA XTREME ANTICATABOLIX® in post-workout recovery is further supported by the action of glutamine. The high content of this amino acid is not only strongly stimulates protein synthesis, but also is a precursor of one of the most powerful antioxidants in the human body - glutathione and affects the body's natural immunity. With the FA XTREME ANTICATABOLIX® you will be able to maximize the growth of muscle mass and strength! XTREME ANTICATABOLIX® is now available in two different forms - powder and tablets. From now on, everyone can choose for themselves the most convenient form of this unique product. Składniki L-glutamina, L-leucyna, L-izoleucyna, L-walina, substancja wypełniająca E460, maltodekstryna, powłoka tabletki (substancje glazurujące (E463, E464, E553b), barwniki (E171, E110, E102, E132, E129)), substancja przeciwzbrulajaca: E470b, substancja wiążąca: E464.